Led by a second quarter record of 6.8 million smartphones sold, including a company record for Android sales, AT&T's wireless division brought in $17.3 billion in revenue for the three month period, up 5.7% from last year's second quarter. The company added 551,000 net new postpaid subscribers, the biggest net gain in postpaid subscribers for the quarter in four years. It also is a 70% improvement over last year's figure. Prepaid wireless accounts rose 11% year-over-year. Operating income for AT&T Wireless was $4.7 billion for the quarter, off 7.7% from last year's total. For the second quarter, AT&T added 1.2 million postpaid smartphone subscribers. That means that 73% of the carrier's postpaid subscribers, or 49.5 million customers, are totin' a smartphone. A year earlier, that figure was 64.1% or 43.1 million customers. A vast majority of handset sales (88%) to postpaid customers were smartphones. That is important to AT&T because smartphone customers bring in twice the revenue each quarter as featurephone users. Postpaid ARPU has now increased for 18 consecutive quarters. AT&T showed some improvement in churn sequentially with postpaid churn tallying 1.02% which is higher from 2012's figure, but lower than the churn reported for the first quarter of this year. Margins for the quarter based on operating income were 27.1%, down from the 31% achieved last year. 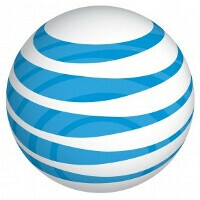 AT&T now covers 225 million POPs with its LTE service. That figure is expected to reach 270 million by the end of the year with 400 markets covered. The rollout of the service should be done by next summer. Hey Alan, you forgot to put billion after $17.3 in the title. I opened this article with the expectation that AT&T made 17 dollars and 30 cents in revenue. Boy was I surprised! Is $17.3 really a quarterly record for AT&T? Yep That's alot of money. And they can't even upgrade my s3 to the latest update. $17.3!!! THOSE GREEDY BASTARDS! I can get 3 value meals for that!